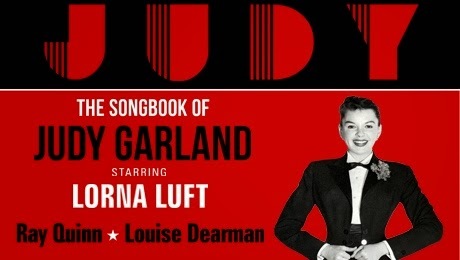 Judy Garland was a force to be reckoned with. If there is any doubt in your mind that such a statement is true, after seeing Judy - the Songbook of Judy Garland, there will be no hesitation. Covering a variety of Garland's vast career highlights, from For Me and My Gal with Gene Kelly to the toe-tapping offerings of Meet Me in St Louis, the show provides a sweeping display of the comical, tender and impressive musical and on-screen moments of the starlets 45 years in the spotlight. Opening with clips on screen of Garland in her prime - singing, dancing, laughing, all captured on film - the troubled life of the actress is glossed over, as a multitude of her songs are covered by the cast. With excellent performances by Louise Dearman, Rachel Stanley and Georgina Hagen in Garland's shoes, often on stage together, the only story is that of Judy herself. Thus, it is in the dance sequences that the show truly comes alive, no doubt in part down to Arlene Phillips role as Creative Director. The tap dancing scenes are electric, immersing the audience in the nostalgia and energy of the performances of a by-gone era. Ray Quinn and 'the Boyfriends' steal the show with moves and rhythm that keep the music of Judy alive through the power of slick moves and suave suits. Some routines, such as a rendition of A Couple of Swells, are comical, and Garland's sense of humour is clear in clips shown throughout. The show is given a personal touch by Garland's daughter, Lorna Luft. Luft isn't as vocally strong as her mother, but provides memories and stories in snippets between her take on her mother's songs. In these moments it is touching as a celebration of both a star and a mother's life, particularly in Luft's performance of Swanee from A Star is Born that just about lifts the roof off. The irony of Garland's life is not lost, with That's Entertainment and There's No Business Like Showbusiness providing a sad reminder of her tragic end. However, the show serves to prove all that Judy stood for and, in a climactic montage reel to Over the Rainbow, we can appreciate this. Luft ensures that the night is one of fun and positivity and, more to the point, great music, and there were more than a few tears towards the end. Much of the glitz and excitement comes from nostalgia, perhaps a better bet for fans or those who were there the first time round. However, for a younger generation it is not out of reach, making entertaining viewing either for fresh eyes or as a trip down memory lane. All you need is a tissue and a pair of tap shoes.